Alyssa Harper had a somewhat terrifying experience after walking the beach one night and finding a stone. Now, 6 years later, she has been working to cover a monumental secret: She grows at a tail on contact with water. 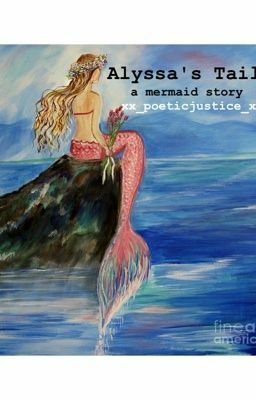 After learning surfing is a unit in P.E, a mermaid named Morgan has come to bring Alyssa 'home', aka back to the ocean, telling her that King Neptune has decided to wage war on the humans, and she was one of the last mermaids who was still living on land. As war between the two worlds looms on the horizon, Alyssa must choose: Life on land, or life in the ocean. That choice is harder than you think. This is Alyssa's Tail.